Embedding a Youtube video in Excel could be helpful if you want the user to go through some instructions in the video before using the spreadsheet/model/dashboard. I sometimes use it during excel training session with live examples. In this blog post, I will show you how you can embed youtube video in Excel. Get the youtube video URL. I am using the URL of a popular video from my Youtube channel. Add &vq=hd720 at the end of the URL to play it in HD mode. Make sure that the video has the HD mode available in youtube (if not, do not add &vq=hd720). Go to Developer Tab. 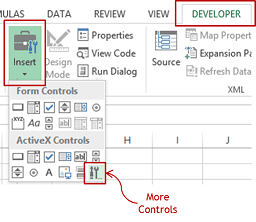 If you do not have a developer tab in ribbon, click here to learn on how to enable it. In developer tab, go to Insert –> More Controls. Close the properties window. Go to Developer and click on Design Mode. 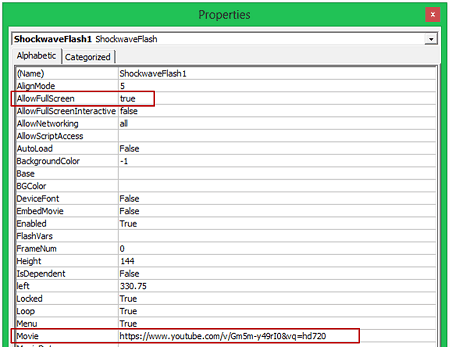 This will get you out of Design Mode and you would see youtube video load in the flash object space. Click on play to watch the video. 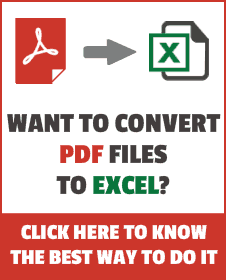 How to Insert a Watermark in Excel. 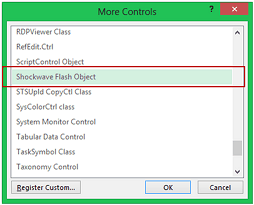 I can’t find shockwave Flash Object in my Excel 2013…any suggestion? Hi Asif. It should be an inbuilt feature in the More Controls option. It should be there by default. If you can’t find it may be it is a version issue or installation issue. You can try on some other system or try and re-install again.